Roberto Remigio Benigni, Cavaliere di Gran Croce OMRI (Italian pronunciation: ; born 27 October 1952) is an Italian actor, comedian, screenwriter and director. He co-wrote, directed and acted in the 1997 film Life Is Beautiful, which garnered him the Academy Award for Best Actor and the Academy Award for Best Foreign Language Film. He also portrayed Inspector Clouseau‘s son in Son of the Pink Panther (1993) and has collaborated with filmmaker Jim Jarmusch in three of his films: Down by Law (1986), Night on Earth (1991) and Coffee and Cigarettes (2003). Benigni became famous in Italy in the 1970s for a television series called Onda Libera, on RAI2, produced by Renzo Arbore, in which he interpreted the satirical piece The Hymn of the Body Purged (L’inno del corpo sciolto, a scatological song about the joys of defecation). A great scandal for the time, the series was suspended due to censorship. His first film was 1977’s Berlinguer, I Love You (Berlinguer ti voglio bene), also by Bertolucci. His popularity increased with L’altra domenica (1976/9), another TV show of Arbore’s in which Benigni portrayed a lazy film critic who never watches the films he’s asked to review. Bernardo Bertolucci then cast him in a small speechless role as a window upholsterer in the film La Luna which had limited American distribution due to its subject matter. In June 1983 he appeared during a public political demonstration by the Italian Communist Party, with which he was a sympathiser, and on this occasion he lifted and cradled the party’s national leader Enrico Berlinguer. It was an unprecedented act, given that until that moment Italian politicians were proverbially serious and formal. Benigni was censored again in the 1980s for calling Pope John Paul II something impolite during an important live TV show (“Wojtylaccio”, meaning “Bad Wojtyla” in Italian, but with a friendly meaning in Tuscan dialect). Benigni’s first film as director was Tu mi turbi (You Upset Me) in 1983. This film was also his first collaboration with Braschi. In 1984, he played in Non ci resta che piangere (“Nothing Left to Do but Cry”) with comic actor Massimo Troisi. The story was a fable in which the protagonists are suddenly thrown back in time to the 15th century, just a little before 1492. They start looking for Christopher Columbus in order to stop him from discovering the Americas (for very personal reasons), but are not able to reach him. Beginning in 1986, Benigni starred in three films by American director Jim Jarmusch. In Down By Law (1986) (which in Italy had its title spelled “Daunbail”, in Italian phonetics) he played Bob, an innocent foreigner living in the United States, convicted of manslaughter, whose irrepressible good humour and optimism help him to escape and find love. (The film also starred Braschi as his beloved.) In Night on Earth, (1991) he played a cabbie in Rome, who causes his passenger, a priest, great discomfort and a heart attack by confessing his bizarre sexual experiences. Later, he also starred in the first of Jarmusch’s series of short films, Coffee and Cigarettes (2003). In 1993, he starred in Son of the Pink Panther, directed by veteran Blake Edwards. Benigni played Peter Sellers‘ Inspector Clouseau’s illegitimate son who is assigned to save the Princess of Lugash. The film bombed in the US, but was a hit in his homeland. Benigni had a rare serious role in Federico Fellini‘s last film, La voce della luna (“The Voice of the Moon”) (1989). In earlier years Benigni had started a long-lasting collaboration with screenwriter Vincenzo Cerami, for a series of films which scored great success in Italy: Il piccolo diavolo (“The Little Devil”) with Walter Matthau, Johnny Stecchino (“Johnny Toothpick”), and Il mostro (“The Monster”). Benigni is perhaps best known outside Italy for his 1997 tragicomedy Life Is Beautiful (La vita bella), filmed in Arezzo, also written by Cerami. The film is about an Italian Jewish man who tries to protect his son’s innocence during his internment at a Nazi concentration camp, by telling him that the Holocaust is an elaborate game and he must adhere very carefully to the rules to win. Benigni’s father had spent three years in a concentration camp in Bergen-Belsen, and La vita bella is based in part on his father’s experiences. Benigni was also inspired by the story of Holocaust survivor Rubino Romeo Salmon. Although the story and presentation of the film had been discussed during production with different Jewish groups to limit the offense it might cause, the film was attacked by critics who accused it of presenting the Holocaust without much suffering, and some who considered that “laughing at everything” was not appropriate. More favourable critics praised Benigni’s artistic daring and skill to create a sensitive comedy involving the tragedy, a challenge that Charlie Chaplin confessed he would not have done with The Great Dictator had he been aware of the horrors of the Holocaust. In 1998, the film was nominated for seven Academy Awards. At the 1999 ceremony, the film was awarded the Oscar for Best Foreign Language Film (which Benigni accepted as the film’s director), Best Original Dramatic Score (the score by Nicola Piovani), and Benigni received the award for Best Actor (the first for a male performer in a non-English-speaking role, and only the third overall acting Oscar for non-English-speaking roles). Famously, giddy with delight after Life Is Beautiful was announced as the Best Foreign Language Film, Benigni climbed over and then stood on the backs of the seats in front of him and applauded the audience before proceeding to the stage. After winning his Best Actor Oscar later in the evening, he said in his acceptance speech, “This is a terrible mistake because I used up all my English!” To close his speech, Benigni quoted the closing lines of Dante’s Divine Comedy, referencing “the love that moves the sun and all the stars.” At the following year’s ceremony, when he read the nominees for Best Actress (won by Hilary Swank for Boys Don’t Cry), host Billy Crystal playfully appeared behind him with a large net to restrain Benigni if he got excessive with his antics again. On a 1999 episode of Saturday Night Live, host Ray Romano played him in a sketch parodying his giddy behavior at the ceremony. As a director, his 2002 film Pinocchio, one of the costliest films in Italian cinema, performed well in Italy, but it bombed in North America, with a 0% critics’ score at Rotten Tomatoes. He was also named as the Worst Actor for his role as Pinocchio, in the 23rd Golden Raspberry Awards. The original Italian version was not so poorly greeted and received six nominations at the David di Donatello Awards, winning two, as well as winning one of the two awards it was nominated for at the Italian National Syndicate of Film Journalists. That same year, he gave a typically energetic and revealing interview to Canadian filmmaker Damian Pettigrew for Fellini: I’m a Born Liar (2002), a cinematic portrait of the maestro that was nominated for Best Documentary at the European Film Awards, Europe’s equivalent of the Oscars. The film went on to win the prestigious Rockie Award for Best Arts Documentary at the Banff World Television Festival (2002) and the Coup de Coeur at the International Sunnyside of the Doc Marseille (2002). In 2003, Benigni was honored by the National Italian American Foundation (NIAF), receiving the Foundation’s NIAF Special Achievement Award in Entertainment. On 15 October 2005, he performed an impromptu strip tease on Italy’s most watched evening news program, removing his shirt and draping it over the newscaster’s shoulders. Prior to removing his shirt, Benigni had already hijacked the opening credits of the news program, jumping behind the newscaster and announcing: “Berlusconi has resigned!” (Benigni is an outspoken critic of media tycoon and then former Prime Minister Silvio Berlusconi.) The previous day, he had led a crowd of thousands in Rome on Friday in protest at the center-right government’s decision to cut state arts funding by 35 percent. On 2 February 2007, he was awarded the degree of Doctor Honoris Causa by the Katholieke Universiteit Leuven, Belgium. On 22 April 2008, the degree of Doctor Honoris Causa was conferred on him by the University of Malta, celebrated by a Settimana Dantesca including Benigni’s first stage appearance at a university and the premiere of his performing with Dante scholar Robert Hollander. His film from 2012 is To Rome with Love with Woody Allen in 2012 during Laura Kaeppeler‘s year as Miss America. Benigni is an improvisatory poet (poesia estemporanea is a form of art popularly followed and practiced in Tuscany), appreciated for his explanation and recitations of Dante‘s Divina Commedia from memory. During 2006 and 2007, Benigni had a lot of success touring Italy with his 90-minute “one man show” TuttoDante (“Everything About Dante“). Combining current events and memories of his past narrated with an ironic tone, Benigni then begins a journey of poetry and passion through the world of the Divine Comedy. TuttoDante has been performed in numerous Italian piazzas, arenas, and stadiums for a total of 130 shows, with an estimated audience of about one million spectators. Over 10 million more spectators watched the TV show, Il V canto dellInferno (“The 5th Song of Hell”), broadcast by Rai Uno on 29 November 2007, with re-runs on Rai International. Benigni began North American presentations of TuttoDante with an announcement that he learned English to bring the gift of Dante’s work to English speakers. The English performance incorporates dialectic discussion of language and verse and is a celebration of modernity and the concept of human consciousness as created by language. Benigni brought “TuttoDante” to the United States, Canada and Argentina in the TuttoDante Tour between 2008-2009 with performances in San Francisco, Boston and Chicago. Benigni was feted in San Francisco at a special reception held by the National Italian American Foundation (NIAF) in his honor on May 24, 2009. Following his U.S. premiere Benigni performed his last presentation on 16 June 2009, in Buenos Aires, Argentina where he was awarded Honorary Citizenship of the City of Buenos Aires in a ceremony held at the Legislative Palace in homage to the notable Italian diaspora and culture in Argentina. 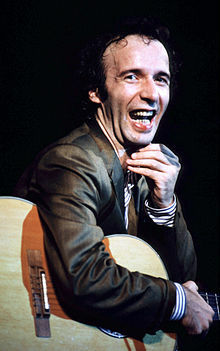 Roberto Benigni is also a singer-songwriter. Among his recorded performances are versions of Paolo Conte‘s songs. 1999 Honorary Doctorate in Philosophy from the Ben-Gurion University of the Negev, Beersheba, Israel. 2002 Honorary Doctorate in Letters from the University of Bologna, Italy. 2003 Honorary Degree in Psychology from the Vita-Salute San Raffaele University, Milan, Italy. 2007 Honorary Doctorate in Letters from the Katholieke Universiteit Leuven, Belgium. 2007 Honorary Degree in Modern Philology from the University of Florence, Italy. 2008 Honorary Doctorate in Letters from the University of Malta. 2008 Honorary Degree in Communication Arts from the Touro University Rome, Zagarolo, Italy. 2012 Honorary Degree in Modern Philology from the University of Calabria, Italy. 2012 Honorary Doctorate in Letters from the Aristotle University of Thessaloniki, Greece. 2015 Honorary Doctorate in Laws from the University of Toronto, Canada. 2003 Coffee and Cigarettes Roberto Segment: “Strange to Meet You”. Filmed in 1986.